... using the W O W factor! 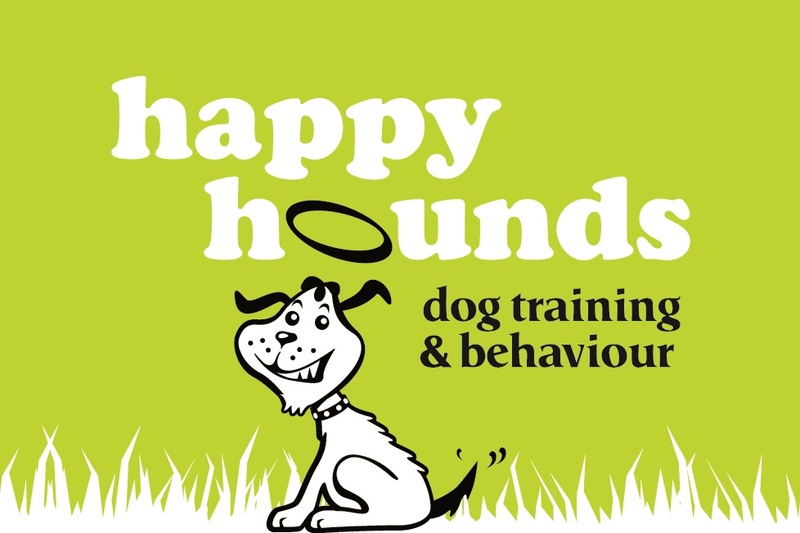 As you’d expect, being a Puppy School tutor, I’m passionate about providing puppies and their families with the best training and behaviour advice. Whilst a puppy is often likened to a blank sheet and thought of as being easy to train, it’s important to remember that a mistake with a puppy’s training can be like an indelible ink blot on the blank sheet - it leaves its mark. Puppy training classes should provide you with the tools to bond with your puppy and help educate them (and you) to grow into a well mannered and sociable adult dog. I’ve experienced at first hand the behaviour problems that can result from lack of appropriate training and positive experiences as a puppy. All three of my dogs are rescues. Mina was found as a stray puppy and as such, probably didn’t have the best start in life. As a result, I believe a lot of Mina’s behaviour problems (now conquered) stemmed from a lack of positive experiences and training as a pup. And for the majority of racing greyhounds, socialisation isn’t particularly high up on the agenda for most kennels. 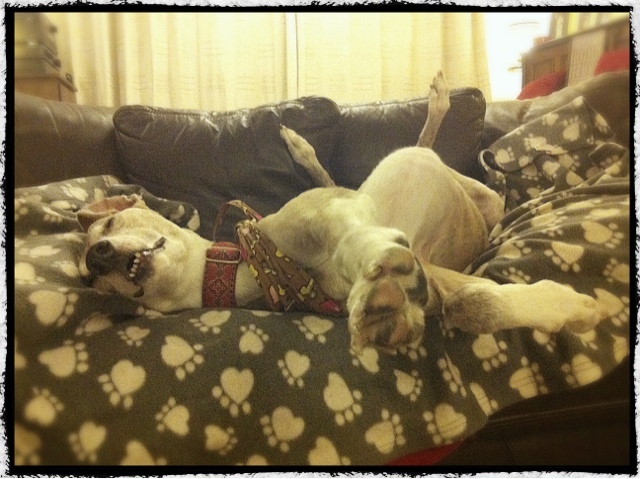 This means that many of the day to day activities and experiences that pet puppies become accustomed to, and most pet dogs take in their stride, can be daunting experiences for some retired greyhounds. 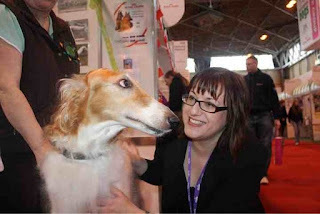 When I was at Crufts, I managed to catch up with Gwen Bailey, the founder and director of Puppy School. I asked Gwen about the importance of puppy training, as well as how to find a good puppy class. Gwen also shared the reasons why she set up Puppy School. 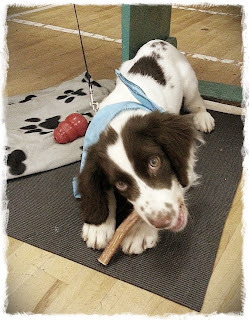 If you’re looking for a puppy class, how do you know which is a good class? There are lots of classes out there and some are better than others. Naturally, I would suggest a Puppy School class, as all tutors are trained to high standards in dog behaviour and training. However, if there isn’t a Puppy School class near you, here are some tips to help you find the right class for you and your puppy, handily summarised as the WOW (Which? Observe. What?) factor! Do your research. Ask your vet if they can recommend any classes and ask any friends or colleagues who have had puppies which classes they attended. Don’t just take their word for it though, if you’ve found some classes you like the sound of, ring and ask if you can go along and watch a class (without your puppy). I’m happy for anyone to come along and view my classes – and actively encourage prospective clients to come along and watch. If a trainer won’t allow you to go and watch their class, ask yourself why? What do they have to hide? Any trainer, worth their salt, won’t mind you coming along to watch a class. When you’re at the class watch what’s going on. It can be tempting just to focus on the cute puppies, but you need to look past this. How are the puppies and their families enjoying class? Are they relaxed and having fun, or are they stressed? Are the puppies barking lots, or are any of the puppies looking nervous and trying to hide? How many puppies are there in class? Is it a free for all, or are the classes structured? Does the instructor engage the class? How does the instructor deal with any problems? Is any puppy play monitored and interrupted regularly so that puppies learn appropriate play? If there are lots of barking puppies and the instructor uses anything like a rattle can (can or bottle full of stones), water sprays, training discs or a pet corrector to interrupt the barking – this is another red flag. The use of these techniques may stop the barking, as they startle the puppies, but they can make the puppy afraid of loud noises and are certainly not going to help the puppies relax and enjoy the class. Teaching any dog should not involve any harsh or aversive methods. On the surface, these methods may appear to work, but more often than not they leave lasting invisible scars and psychological damage. Don’t be afraid to ask questions! You wouldn’t hire a plumber without making sure they were suitably qualified and experienced. The same is true for dog training instructors. Ask about their qualifications and experience. Ask what training methods the instructor uses and recommends (hopefully you should have seen these in action at the ‘observe’ stage). If the instructor talks about dominance and alpha rolls and poo-poos using reward based methods, this is another red flag. These training methods are flawed, downright dangerous and outdated (see: The Dog Welfare Campaign website for more details). 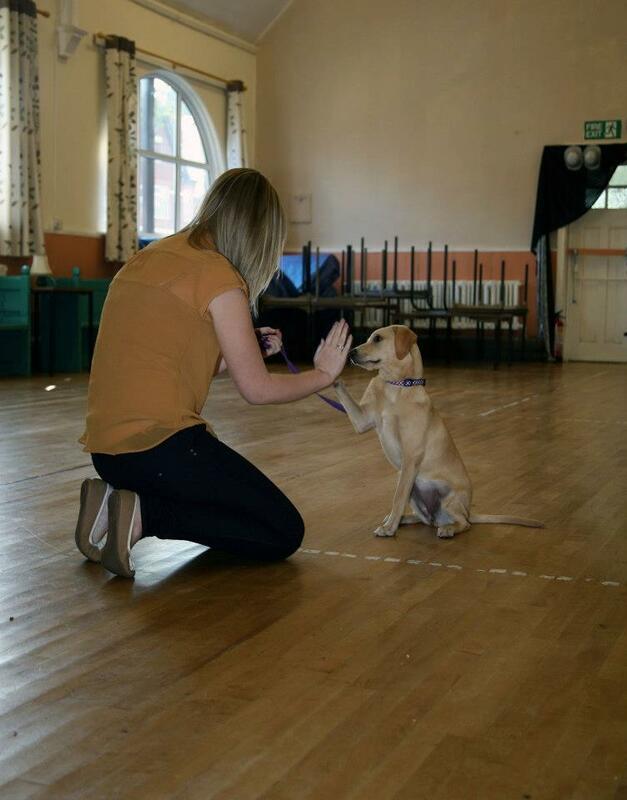 We know that dogs (and most species) respond to positive reinforcement (also known as reward based training) and learn more quickly this way. What equipment do they use to train? Choke/check chains, prong collars, shock collars or citronella (anti-bark) collars have no place in dog training. What is the maximum number of puppies allowed in class? 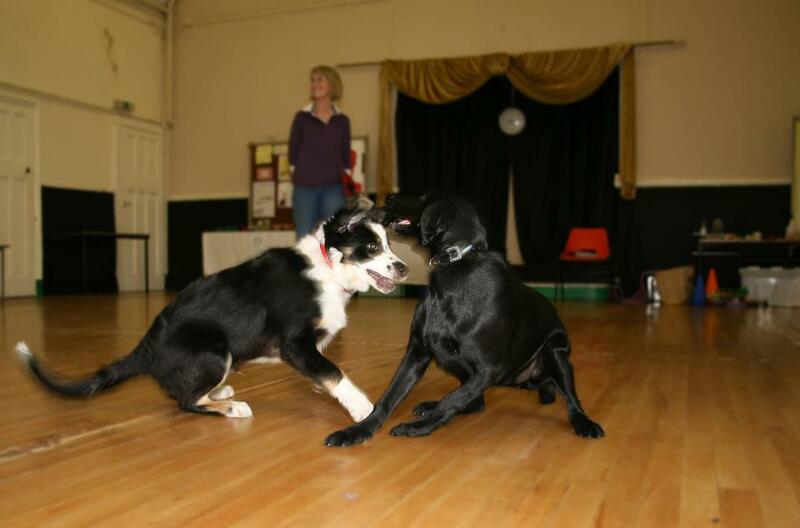 (Both Puppy School and the Association of Pet Dog Trainers, UK, recommend no more than 8 puppies per instructor). 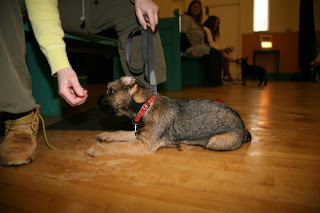 A small class means more attention from the instructor and more space for puppies to work in. Finally, the biggest question you can ask yourself is: “Would me and my puppy enjoy this class?” If you’re unsure or the answer’s a no – keep looking or perhaps arrange for some one to one training sessions with a reputable trainer. It is worth taking the time to find the right class and travel some distance... after all, your puppy’s future is in your hands. Trainers who are Puppy School tutors and/or members of the APDT have gone through rigorous assessments for both their theoretical knowledge and practical skills for running classes. 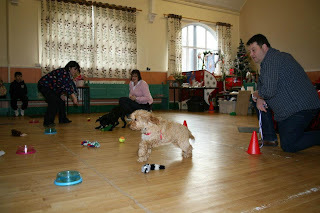 Let me know what you think...what have been your experiences of puppy classes? Well, Crufts is over for another year. My feet have just about recovered from all the miles I walked through halls one to five of the NEC, Birmingham. This year, I was only at Crufts for two days, so I needed to make sure that I packed as much in as I could. It was also the first year that I had my 'official photographer' with me, in the guise of my husband. So, what were the highlights this year? There were several new products launched at Crufts and blog posts are going to follow on these. I also managed to catch up with, and interview, Caroline Kisko, secretary of the Kennel Club, and Gwen Bailey, author, behaviourist, founder and director of Puppy School (interview with Gwen to feature in a later blog post). It seems like the tide is turning for Crufts. Visitor numbers were up this year - almost 145,900 dog-lovers came through the doors of the NEC; an increase of 3% from 2012 visitors. Around 1.7 million viewers tuned in to Channel 4 and Channel 4 +1 on Sunday night to see Jilly, the Petit Basset Grifoon Vendeen, be awarded Best in Show and to witness Owen and Haatchi announced as winners of the Friends for Life Award. When I caught up with Caroline Kisko, I asked her about what the Kennel Club has been up to in the last year, its plans for the coming year and what work it is undertaking to overcome the health difficulties in pedigree dogs. You can listen to the interview below. Apart from having the chance to sniff out some new products to try on the hounds, the highlights for me had to be the agility and displays of dogs having fun/being trained (after all, training should be fun) in the main arena and the various rings around the show. 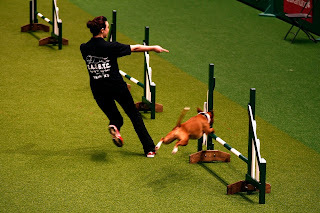 I loved watching the Staffordshire Bull Terrier agility in the main arena. 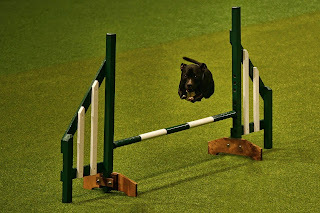 Staffies get such a bad press (the majority of which is completely undeserved) and it was fantastic to see these dogs enjoying agility so much. We were even treated to an agility display from Ashleigh (without Pudsey), working with a lovely Staffie called Ruby. We were told that Ruby was one of Pudsey's best friends and she certainly seemed as talented as Pudsey - especially when it came to agility. The Samsung stand was also a revelation. 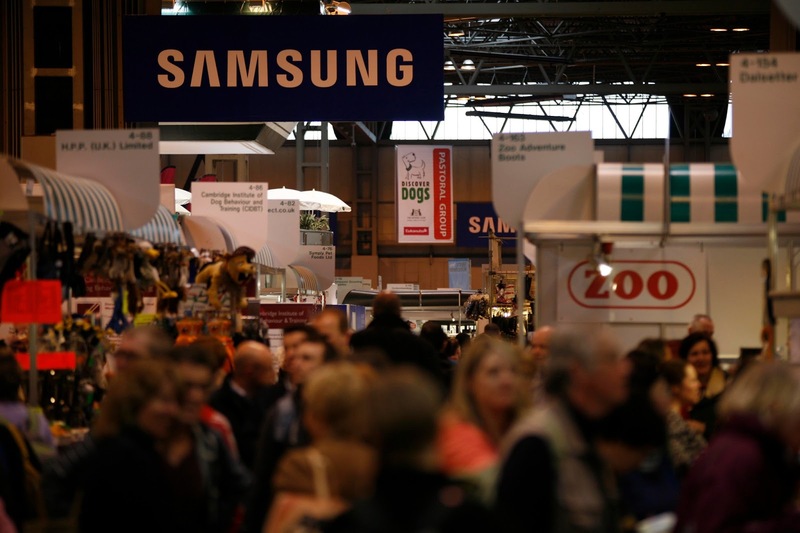 I hadn't realised how long Samsung had been a sponsor of Crufts (20 years) or their links to supporting and working with dog charities. This year, their stand provided a place to chill out and try out the latest gadgets from tablets, to cameras. There was even the opportunity to have a free photo postcard taken as a memento of your visit. Needless to say, I couldn't resist this. The Sunday culminated with Samsung presenting the CEO of the Blue Cross, Kim Hamilton, with the funds for the equivalent of 2,000 health checks for Blue Cross dogs. The donation was a result of the great Samsung/Crufts Help-a-Dog-a-Thon facebook app, which provided facebook users with the chance to adopt and interact with a 'virtual dog'. For each virtual dog interacted with, Samsung donated money to help reach the target of 2,000 health checks. All in all, I enjoyed my two days at Crufts. I managed to catch up with friends - both old and new - and have discovered some great products... anyone for a canine cuppa? (Woof and Brew blog post to come in next few days). I have to say though, I'm not a huge fan of the showing aspect and much prefer to see dogs in action in doggy disciplines. I do, however, love the opportunity that Discover Dogs provides for people to meet and see different breeds. My only concern with Discover Dogs is the long days for the dogs and potential stress that they can be under. No matter what, one thing's for sure, the dates for next year's Crufts are already in my diary for 6-9 March 2014. Well, Crufts is nearly here. Rather than days to go, it’s more a case of hours remaining before the doors open and the hordes of dog enthusiasts fill Halls 1-5 of the NEC, Birmingham. Just in case you’ve been hiding under a rock and aren’t sure, Crufts starts tomorrow, Thursday 7 March, and will finish on Sunday 10 March with Best in Show. I love Crufts and have been lucky enough to have had the chance to blog about it each year. This year is no exception and I’ll be blogging and posting photos thanks to Samsung. Navigating the 5 halls and making the most of your time at Crufts is a skill in itself – particularly if you’re only there for one day. So, if you want to maximise your time at Crufts, here are my top six tips to ‘survive’ and get the most out of your Crufts’ visit. Speaking from experience - I have, on one occasion, gone so far as to buy a new pair of flat, comfortable boots whilst working at Crufts – comfortable shoes are a necessity! 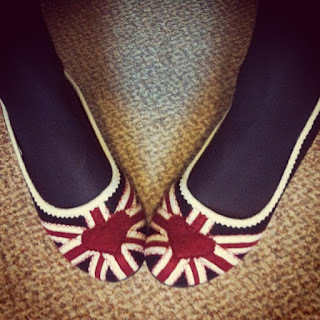 I only had low heels but they took a right battering – as did my poor aching feet. Walking through the halls every day is tiring and before you know it you’ve covered a few miles and more than likely achieved the recommended 12,000 steps per day! The halls at Crufts are all air-conditioned. However, depending on what time of day you arrive the temperature in the halls varies. First thing in the morning, before the crowds, the halls are cool…. by the afternoon though, it’s a different story. The halls are packed and it can be rather warm – especially if you’ve been pounding the avenues in search of the ultimate doggy bargain. My tip is to wear loose layers and remember to keep your cool. Crufts is thirsty work. There are plenty of places to buy drinks from milkshakes to coffee to good old water, however they do come at a cost and often with long queues. If you can bring some bottled water, you’ll save yourself from paying over the odds and wasting valuable shopping or spectating time in queues! Spread over 5 halls, it can take a while (particularly when it’s busy) to walk through the halls to reach another hall. One of the best tips I was given was to come out of the halls into the Piazza and then use the Piazza as your main navigation point – providing short cuts to each of the halls. It saves on the shoe leather and can give a much welcome breather from the crowds. Buying a guide to Crufts is well worth the investment. You can buy them before you enter the halls and they provide a day by day what’s on guide as well as an index to all the trade stands. If you get the chance, it’s worth stopping for a coffee in the piazza and then planning your day. Crufts time seems to go by very fast! 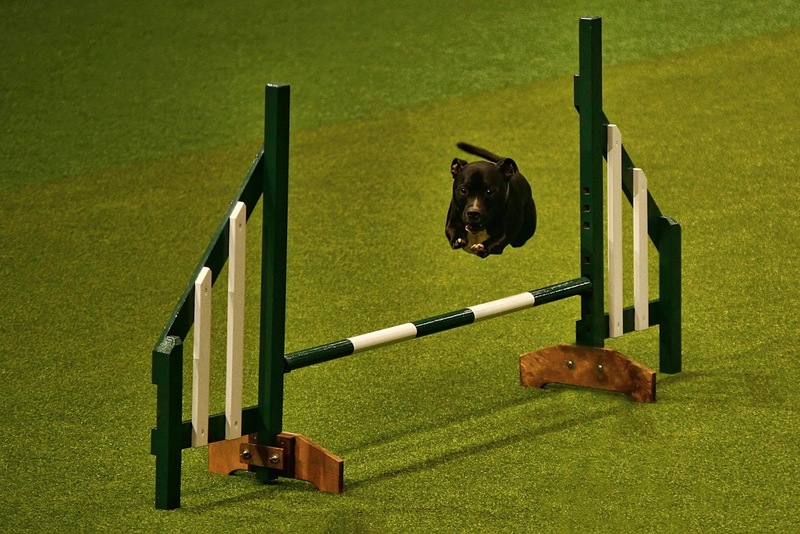 There are so many great things to see and do at Crufts. It’s not just dog showing – there’s so much more. The shopping is great, the events in the arena and rings around the halls are amazing - from Staffordshire Bull Terrier agility to KC Canine Good Citizen displays – there’s something for everyone. This year, on the Samsung stand in Hall 3 (stand 72), the theme is ‘CARE home’ – creating a space to relax and share time with dogs. There’s a chance to see and interact with Samsung products such as: experiencing stress reducing music for dogs, experiencing the 3D SMART TV experience (including playing Angry Birds) or even creating your own photo postcard to email to friends. Whatever you decide to do at Crufts – enjoy your day, don't forget your purse – and who knows we may even bump into each other.